We get asked on Twitter pretty much daily for food-led travel tips and advice and we want to talk about one of our favourite finds in London – a restaurant group we go back to time and time again. We welcome and adore these questions and we’re humbled that following our travels in the UK, Ireland and Europe that people value our opinions and treat us as experts on dining and exploring a new city or rediscovering an old favourite part of the world. We’ve lived in London for over three years but we’ll be the first to hold our hands up and say we’re not experts on London at all! We’ve barely scratched the surface, really, if you’re comparing us to other eating out experts like Dominic (Samphire and Salsify), Felicity Spector or Jared (Foodstinct) – each of whom continue to alert us of new openings, must-try dishes and exciting chefs across the capital. But our readers and social audience really appreciate our on-the-ground insights, so we wanted to definitively answer one of the most-asked questions we get about dining recommendations in London: lots of people ask us “where to go for dinner and cocktails in central London” that won’t break the bank but is still special and memorable? Five sit within the City, or the ‘Square Mile’ as it’s known. [Sidebar: when referring to London as a general city it’s lowercase but the uppercase City is an actual pinpointed, mapped-out location] The City is the original, old city of London with its grand architecture, tree-lined thoroughfares, hidden back alleys and suited slickers. Here you’ll find The Folly right by Monument Station, The Happenstance on Ludgate Hill practically sitting by St. Paul’s Cathedral’s front door, The Fable just off Holborn Viaduct (though easiest reached via Farringdon or Chancery Lane stations), The Anthologist on Gresham Street just behind Bank and Cheapside, and finally The Drift – on the ground floor of the iconic Heron Tower (110 Bishopsgate – the same tower featuring both Sushisamba and Duck & Waffle). Moving outwards, you’ll find three more: The Parlour sits surrounded by the skyscrapers on Canada Square in Canary Wharf, the beating heart of London’s financial district, whilst two branches of The Refinery sit on either side of the Thames – The Refinery Regent’s Place in north central between Great Portland Street and Warren Street and The Refinery Bankside just behind the Tate Modern on the south bank. 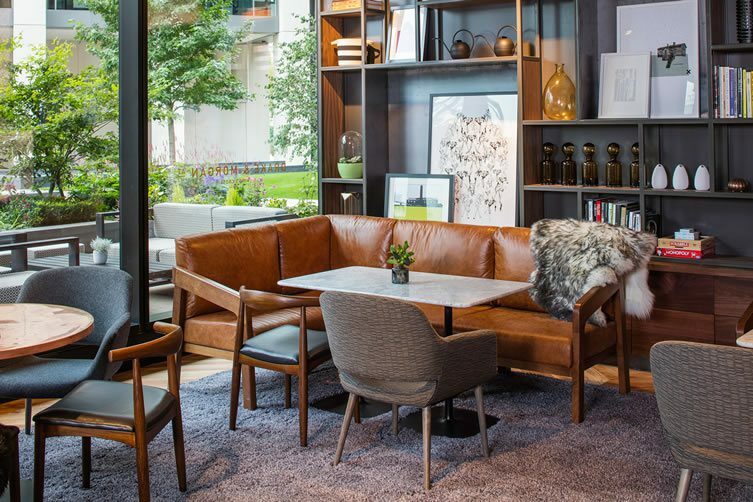 The largest, and the flagship of the stable, is Drake & Morgan at King’s Cross, a great option for after-work drinks or a weekend bite with friends nestled in a brand new corner of Pancras Square. This newly-opened (2015) location is actually perfectly placed for how trendy the King’s Cross area is right now – German Gymnasium, Granger & Co., Vinoteca and Notes all within a stone’s throw of each other. With more of a grill menu and its own signature sips, what’s extra special is the late-night destination subterranean bar. Dimly-lit with a central, square, statement bar there are two ‘kitchen pods’ which would be the perfect place to host a party. 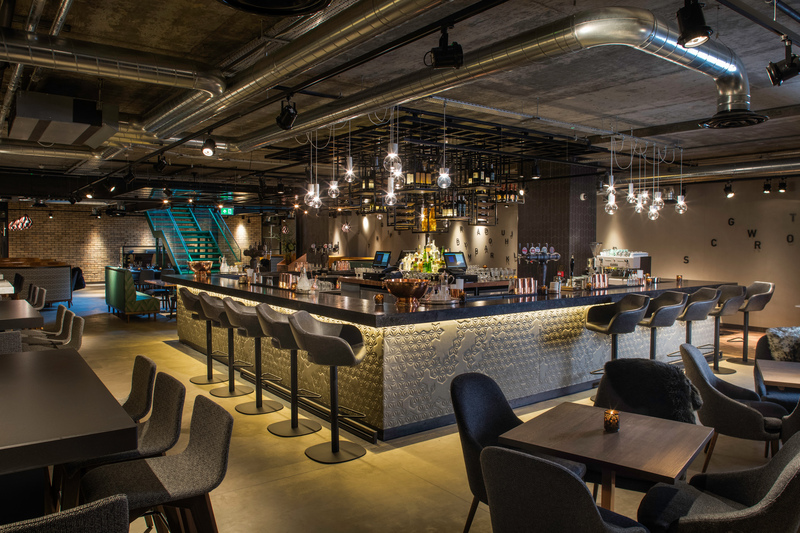 Bookable for groups and open enough to spill out into the main bar, each is complete with SMEG fridges, central counters for chatting and convening and lots of space to really make of it what you will, and you can work with the events team to have every wish and whim catered to. Each one has an individual character and style, from the modern, clean-lined, Scandi-ish The Refinery Regent’s Place to the fairytale-inspired The Fable off Holborn Viaduct with its vintage decor details and gorgeous book-lined, wrapped booth – the best table in the house! Each venue tells a story and has an independent attitude, yet all are cohesively elegant, stylish and modern. We’ve got a particular soft spot for The Refinery at Regent’s Place – so spacious, comfortable and bedecked with gorgeous floor-to-ceiling glass walls, a glass-lined bar that’s perfect to perch at with cocktails and an expansive terrace that’s great come warm or cold weather (as you can wrap yourself in one of the fur-draped armchairs). What we really love about Drake & Morgan is the consistency. 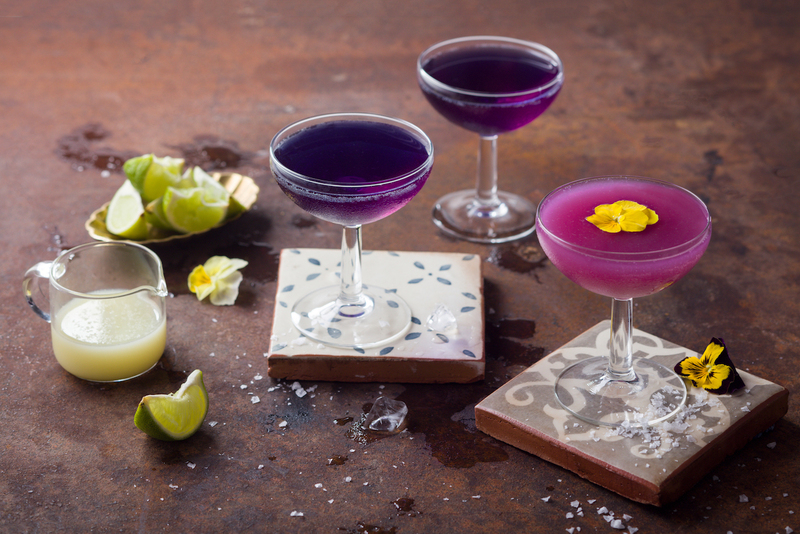 Though each location is different, you can always expect well-made cocktails and dishes that are imaginative and a little out of the ordinary – whilst everything is kept fabulously within budget. We know that D&M believes everyone deserves those little indulgences, those spoil-yourself celebrations and glamorous get-togethers without needing the six-figure salary, expensive duds or to be in cahoots with the maitre d’ of the newest ‘it’ spot. We totally agree, why can’t indulgence be an every day affair? London will always have the ‘it’ places but with waiting lists, no reservations policies and popular nights/times in general, you almost need to book weeks or months in advance to secure a table at a restaurant. What D&M always provides is the perfect spaces for every occasion with some top-notch staff too. At Drake & Morgan there’s a great crowd, you’ll adore the interior and you’ll pretty much always get a table. You’re guaranteed to find a tipple to whet your whistle and there’s always something on the seasonally-changing menu to please everyone, even the fussiest eater in the group – pretty much ticking all the boxes, right?